IMCDb.org: 1959 Albion Reiver LAD cab in "Forth - Powerhouse for Industry, 1968"
If so, I believe it'd be a Reiver. Correction - according to recent toy car magazine feature, long door means Albion (all LAD versions) or Leyland (some of their LAD models), but can't be Dodge (short door only). Thanks again, I hadn't noticed that before! With regard to the Leyland models, it would appear that only the lighter duty Comets and Super Comets had the short doors and more squared-off wheel arches, though don't quote me on that! 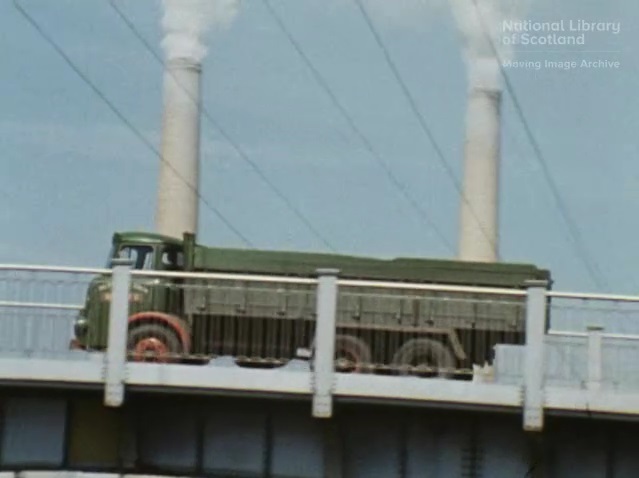 Both Leyland and Albion used the Reiver name for lorries of this configuration. JCB is needed! The Albion Reiver was renamed Leyland Reiver in September 1972 I believe with the introduction of the G-series cab. Link to "archive.commercialmotor.com"
The 'short-door' Leyland Comet LAD cab design was probably due to all the previous design of the forward control Comet's chassis and the engine location well over the front axle; cab over engine not before engine. Slim front bumper so Albion Reiver I believe (not heavier Leyland bumper).